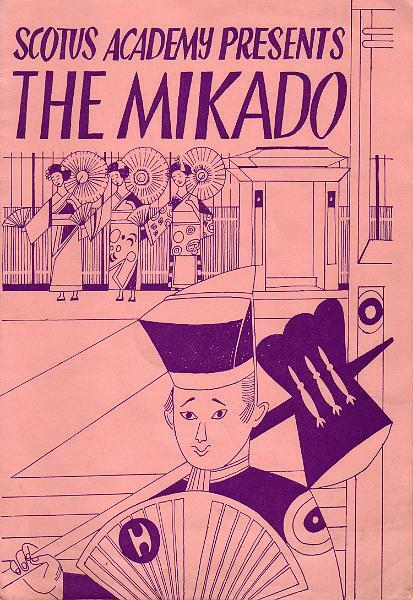 The cover of the programme of the 1963 presentation of G&S's "The Mikado". Richard Demarco designed the programme with the help of the 5th year art class. Arthur Oldham directed the orchestration which no doubt made it the success it was.